Obviously you need shoes wherever you go, but the land Down Under is an entirely different beast. The vast majority of the time, all you’ll need is a pair of flip flops (see: thongs). If you’re planning to get outdoors in the desert or rainforest, a decent pair of trainers or hiking boots is a must too. Make sure you bring plasters and double up on socks (or invest in specialist hiking socks) if you’re not used to wearing outdoor footwear. The UV rays here are fierce, which is why a hat, sunglasses and sun cream are non-negotiable. Also, if you’re wearing vest tops or camisoles a lot (which, let’s face it, you will be), consider bringing a shawl or light cardigan to protect your shoulders from the midday sun too. It would be a cardinal sin to travel to Australia and not get in the water. Bring a swimming costume, tankini, bikini, trunks or whatever you usually bathe in for when you’re swimming or snorkelling, and a towel to laze on and dry off with after. November to May in Queensland is the season of the irukandji box jellyfish, but don’t worry too much about packing your own stinger suit; most places have them for hire or have stinger net sections in the water for you to swim in. If you’re planning to visit the Great Barrier Reef, chances are your tour company will have snorkel gear for you. However, if you’d rather bring your own googles, snorkel and flippers, that’s fine too – just don't forget you have a checked luggage limit. Winters in Australia are considerably milder than the winters in the UK and Ireland, but the climate can still get chilly from time to time. It even snows in Tasmania! The trick is to take comfortable, lightweight clothing and layer up if you need to. 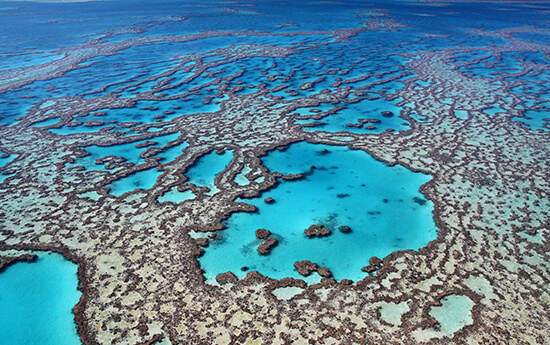 Australia is chock-full of breathtaking (literally!) 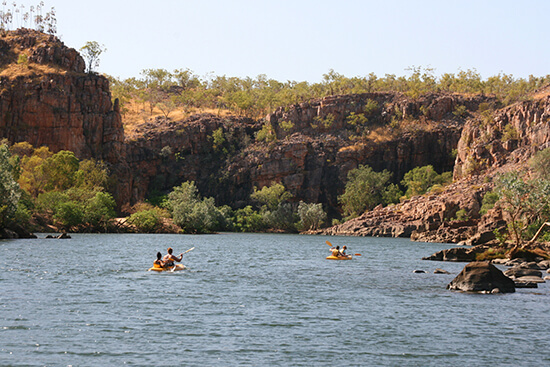 hikes, adrenaline-pumping activities like white-water rafting and outdoor icons seen nowhere else on the planet. 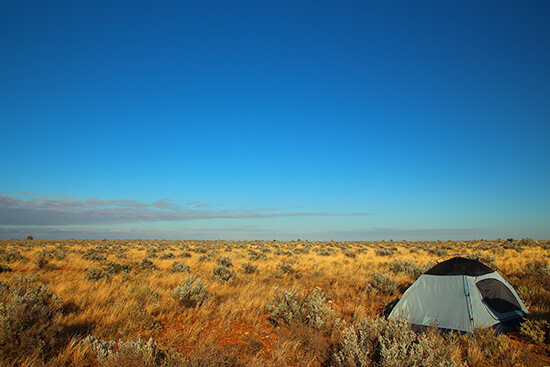 You can’t expect to visit without heading outdoors, which is why it’s handy to have a backpack, waterproof jacket and a torch – the latter being especially helpful for when you’re navigating the bush or staying in a tented camp in the Outback. It’s boring but it’s necessary. For starters, you won’t even get out of the UK without your passport and you definitely won’t be allowed in to Oz without your ETA visa. Remember to take a small amount of cash in Aussie dollars too, and put the majority of your spending money onto a travel card for safety. Bring a credit card for emergencies. You won’t be able to do half of Australia’s adventurous activities without travel insurance – not to mention you’ll lose a lot of money if for some reason your trip is cancelled – and you’ll need your driving licence (and a check code from the DVLA) if you’re planning to hire a car while you’re out there. Leave the laptops and iPads at home we say! Instead, just bring your camera for capturing those amazing memories and a type I plug adaptor, which has two flat blades in an upside-down v-shape and often a flat earth blade beneath them. Ladies, if you’re headed to Tropical North Queensland, don’t even bother bringing your hair straighteners or curling tongs: the humidity will get you no matter what. Obviously we’ve mentioned sun cream already, and most people will bring travel-size shampoo, shower gel and toothpaste, but there are also things that people don’t consider. Travel wash is one. This is a great addition to any travel toiletry bag, especially if you’re going to be on the move or holidaying for two weeks or more. It’s likely you’ll need mozzie spray here too, particularly if you’re visiting the more humid regions like Tropical North Queensland. Remember that toiletries must be under 100ml if you’re planning to take them in your hand luggage. Perhaps the most important thing on this list. Well, after your visa, passport and sun cream anyway. You can’t possibly explore Australia without being prepared for the unexpected – things don’t always go to plan, but that’s the beauty of this wild, rugged, behemoth of a country. Ready to book (and pack for!) your Aussie adventure? 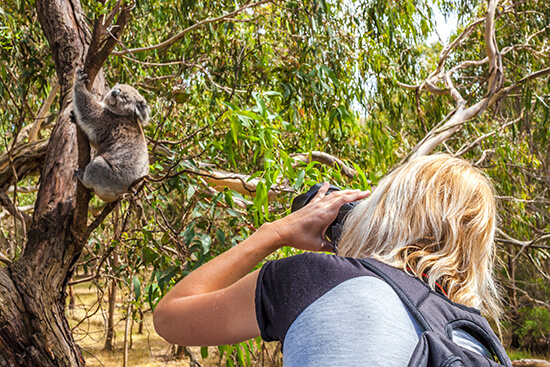 Speak to one of our Travel Experts about our diverse range of tailor-made Australia holidays called Journeys.